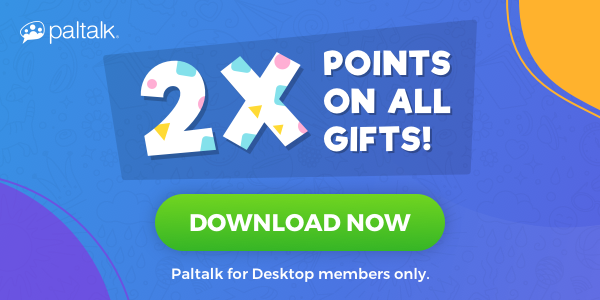 2x Points for Paltalk for Desktop Members! If you're already using Paltalk for Desktop, visit the Virtual Gift Store to enjoy double points on everything. Tell your Pals! Download Paltalk for Desktop Now!